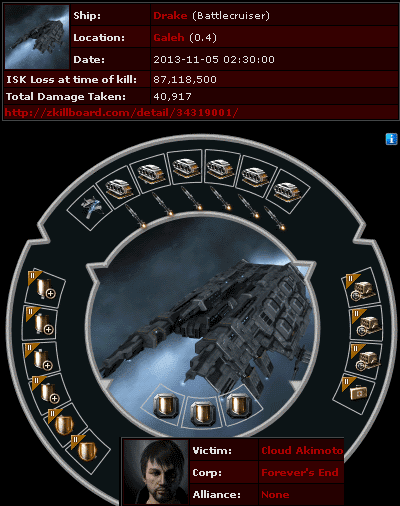 One of the finer perks of successfully taking over highsec is that I'm constantly the recipient of good news. 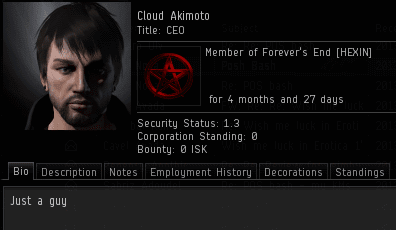 Cloud Akimoto, CEO of Forever's End corporation, was the problem. He thought it was his right to play EVE however he wanted. Maybe so, if he wanted to play EVE within the strictures of the Code, like any normal person. But he didn't, so Bihiri declared war. Forever's End corp turned out to be a nest of bot-aspirants. 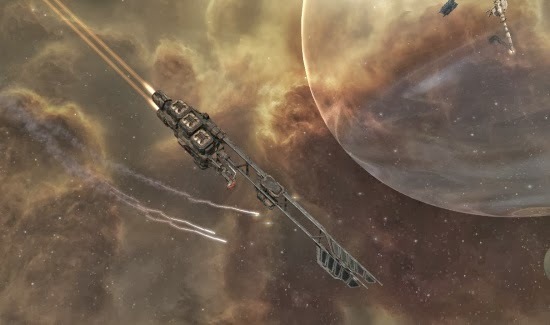 Unaware of the obscure EVE mechanic known as a "wardec", the carebears roamed blindly through highsec. Bihiri caught them and began killing them. An Orca was discovered loitering in one of my systems, and was promptly destroyed. Horrified, the carebears of Forever's End left the corporation in droves. 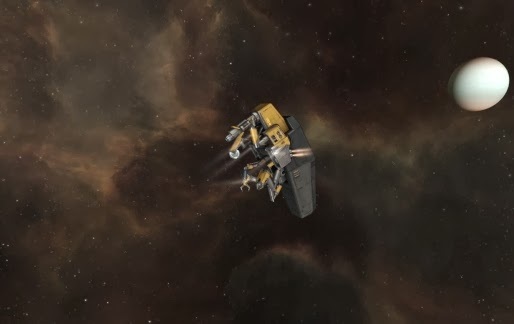 The EveWho record shows that the vast majority of the corp's members fled soon after they learned about that whole "not 100% safe in highsec" thing. 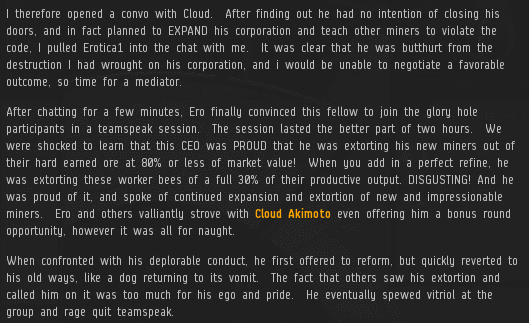 With the corporation collapsing, Cloud Akimoto had no choice but to defend the corp himself. ...Which is where it all went wrong. Cloud lost a questionably-fit Raven when he attempted to stand against Bihiri Nova and Loroseco Kross. Having seen their CEO slain in battle, the rest of the Forever's End membership rushed for the exits. Now the corp assets of Forever's End were in jeopardy. A force of New Order Agents assembled and prepared to attack the POS. Cloud rallied the troops for one last stand. Unfortunately, he didn't have any troops left. Cloud was on his own. The earlier loss of Cloud's Raven cost him dearly, so he downgraded to a Drake. All it took was a few tweaks to his Raven fail-fitting, and he'd made himself a proper fail-fit Drake. It was destroyed. Cloud then scrambled to create another fail-fit Drake, using almost the exact same fitting. That one died, too. And so did the third one. Dead Drakes tend no POSes, so the Forever's End stronghold was evacuated. KABOOM! It was a total victory for the New Order. 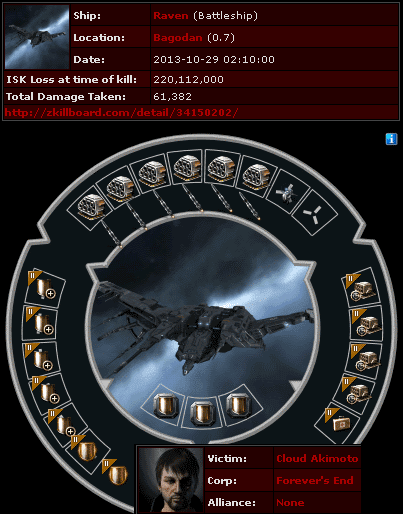 Bob StarSeeker, an Ibis pilot, was the only allied casualty of the battle. He was the victim of friendly fire. But then again, all of the New Order's fire is friendly. 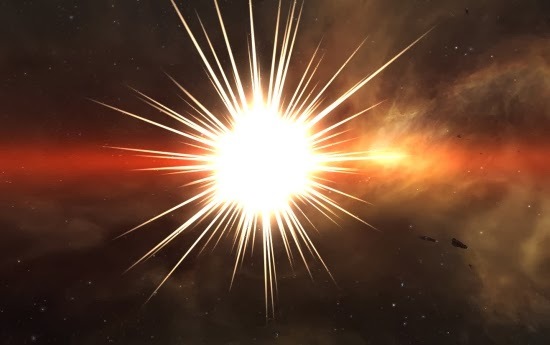 The series of military disasters suffered by Forever's End led Bihiri to suspect that maybe they weren't the elite PvP force Cloud Akimoto had bragged about. Bihiri did the honourable thing and offered to let Cloud surrender. Despite losing nearly all of his corp's members, Cloud insisted he would find a way to rebuild. He boasted of exploiting new EVE players by convincing them to mine illegally in return for slave wages. And they say the New Order is bad for new players? The fight against tyranny continues. Hopefully every man, woman, and child in highsec knows of the villainy conducted under the name of Forever's End. Cloud Akimoto claims to be "just a guy". A guy, yes, but a good guy or a bad guy? History will be his judge. Also me. He's a bad guy. 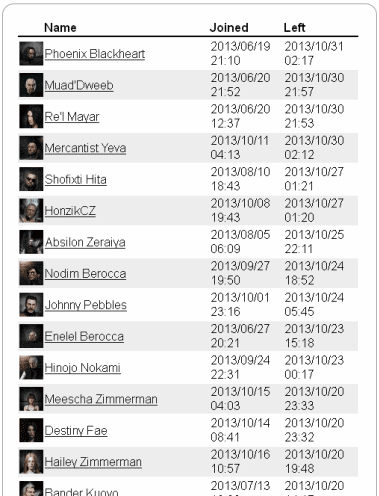 As are the players in the New Order. And if our way happens to infringe on your way, you'd better be able to defend it. But we know thats just a fantasy. 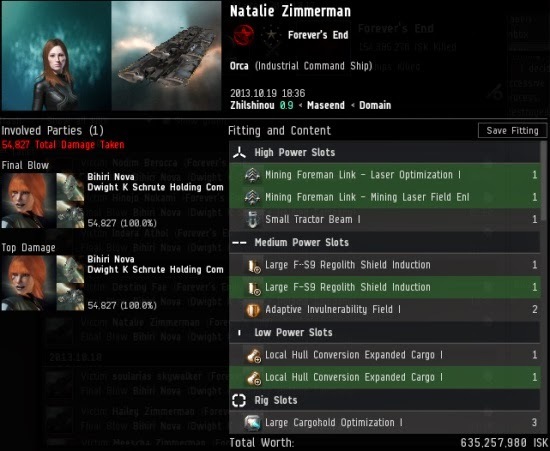 So fight the pitiful forum wars and whine to daddy CCP. I hear petitioning works wonders! Which side am I on!!!! And so are you! And also you you and you when you. Definitely. No, whoever you're talking to doesn't play EVE, Niikumi. Miners have trouble fighting back, as The Code uses every trick and loophole in the book to stay out of harms way and avoid being so easily destroyed. It's a cowards war you wage. As are we anon 9:28. The conflict occurs because our play style involves "interacting" with you for not obeying our play style. Adapt, submit, or gtfo. What a deplorable individual. This dastardly specimen must be brought to justice! Someone should post the recorded teamspeak. It was delightful. 2.Do nothing besides insult them. 3.Claim that the people you are insulting, without any prospect of action, are all talk. 7. Love is ruined by Profit. 8. Claim that it's not your fault, that you were Jinxed. such a loser..always ready to cry..dut dut dut DAH! Forever's End has the right idea. You guys can eat a fat one. Fight back against oppression or die trying.